Beautifully made, this 3 drawer console table will add style and brighten up any style of home. 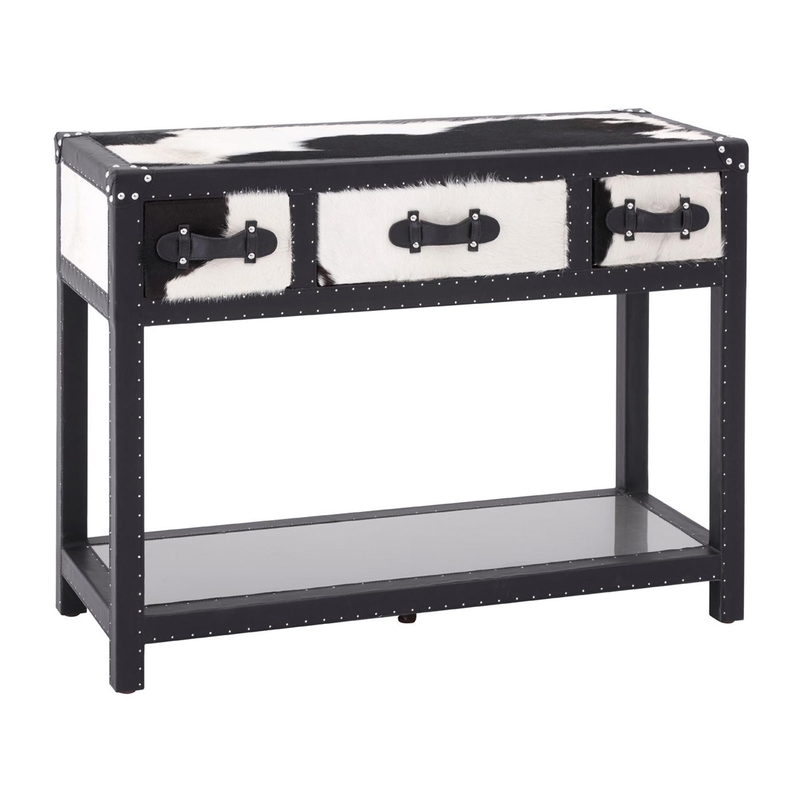 With its unique black and white cow hide design, featuring metal and steel handles, this gorgeously made console table will bring the wow factor you want and need in your living area. Providing as much style as it does practicalness, this wondering console table features a 3 drawer design, perfect for storing away any house hold items which will help effortlessly keep your home tidy whilst it adds beauty and style to your home.